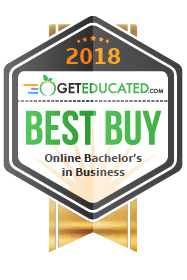 Walsh University’s online BBA with a specialty in marketing develops students’ understanding of the cross-functional areas within marketing, including communications, market research, consumer behavior, brand management, sales, and production. In addition, the marketing BBA degree focuses on the implementation of marketing strategies across different mediums. Students graduate well-versed in the many roles a marketer performs and with knowledge of best marketing practices in the information age. Below is a sample list of courses you will take while enrolled in the online BBA in Marketing program. For a full list, including marketing-specific curriculum, please download a brochure. According to the Bureau of Labor Statistics, individuals with their bachelor’s degree earn around $300 per week more compared to individuals with an associate’s degree. Bachelor’s degree holders also earn $400 more per week compared to those with a high school diploma. The median annual pay for individuals in marketing positions can range from $60,000 to $90,000, depending on the industry. 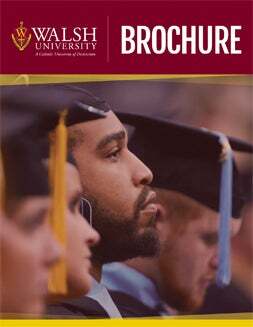 To see a full list of potential positions and employers available to a graduate, download the program brochure. This course introduces students to the psychological, sociological demographic, and economic influences, which affect buying behavior, both domestically and globally. Students learn why and how to apply consumer behavior theories and concepts, while integrating them with the larger contexts of marketing and other business disciplines in order to develop successful marketing strategies. BUS 233 for minor and AA. Prerequisite: BUS 233 or BCPII Status. This course introduces the students to the major areas of quantitative and qualitative market research, including focus groups, survey development, experimental and field research design, practice and problem definition, questionnaire design and collection, data analysis, interpretation and presentation of survey findings. BUS 309 and BUS 364 for major, minor and AA. Prerequisites: BCPII Status, BUS 110 for minor and AA. This is an integrative capstone course in marketing that emphasizes strategic marketing decision-making as it relates to firms selling to consumers, business organizations, government agencies, and nonprofit institutions. Topics for the course include an application of marketing research, marketing communications, pricing, distribution, and ethics, within retail, service, and business-to-business environments. Prerequisites: BUS 311 or BCPII Status and BUS 308, BUS 309, BUS 311 and Senior status. This course introduces students at the undergraduate level to the social media marketing industry, its operations, context, and technology. Topics include online social networks, consumer-generated advertising and reviews, blogs, e-mail, viral marketing, and international implications. Prerequisites: For major, BCPII Status; for minor or AA, BUS 233. This course introduces students to the concepts and strategies important to creating and managing strong brands, a key factor in generating customer loyalty and ultimately strong organizational performance. Students will explore how branding applies across the key points of advertising, public relations, social media, corporate responsibility, employee interaction and new product development. , odd years. Prerequisite: BCPII Status and BUS 309. BUS 360 – H1:DV:Mgmt in a Global Environ 3 sem. hrs. This course is a study of the principles of organizational behavior at the individual, group, and organizational level within a multicultural context. Students will apply theory using an experiential approach from multiple perspectives to broaden work behavior and decision-making capabilities. Topics included in the class are management across cultures, change management, motivation, team building, and leadership.